Recently, I have reconnected to my love of painting and have been exploring ways to connect my painting with natural landscapes as I find inspiration in nature and our natural environment. I employ a combination of land, sky and water to capture the natural world and its peaceful inspiration. 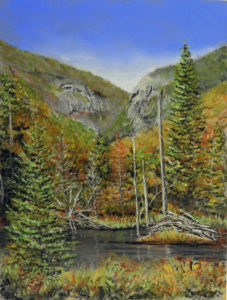 The Vermont Pastel Society (VPS) is an all-volunteer organization founded in 1999. The purpose of VPS is to build and strengthen connections among pastel artists. 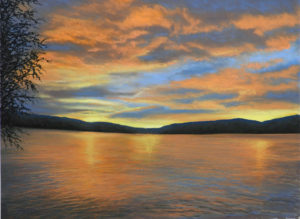 VPS has about 100 members and is open to all levels of pastel artists. Artists using both oil and soft pastels are welcome to join. VPS Members – Want to borrow a DVD?